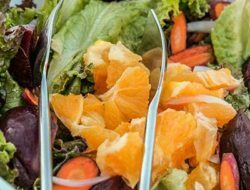 The California Strawberry Festival is among the top festivals in the nation with over 50 food booths, contests, rides and attractions, over 200 Arts & Crafts vendors, concerts, celebrity chef demonstrations, and family fun! 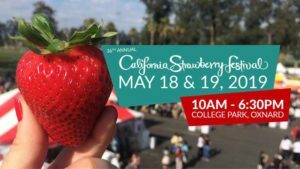 The 36th Anniversary California Strawberry Festival in Oxnard is the perfect summer kickoff with proceeds benefiting the community in a BIG way. Join us May 18 & 19, 2019 10:00am – 6:30pm for an unforgettably sweet experience!